We say it all the time, maybe a dozen times a day. We say it when we’re handed our change after buying our morning coffee, we say it when someone holds the door open for us. We say it so often, we don’t really think about it. It’s a reflex. 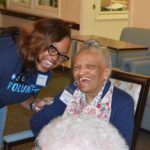 Each November – our Month of Thanks – Blue Cross and Blue Shield of North Carolina (Blue Cross NC) honors some worthy people and nonprofit organizations who are strengthening our communities through their service. This month gives us the chance to shine a light on their great work to make our communities better places to live. And when we say, “Thank you,” we mean it. If we thank people without thinking, there’s really no point to the whole exercise. “Thank you” shouldn’t be a conversation filler. 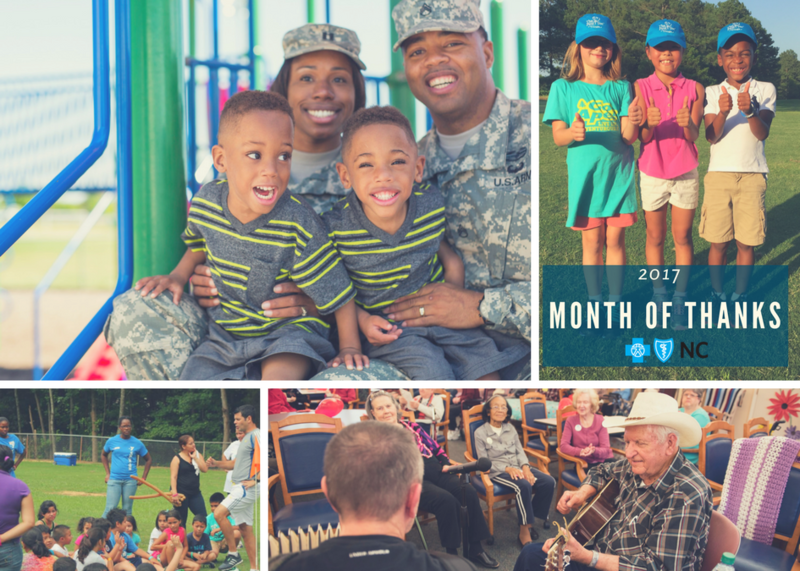 This year, our Month of Thanks honors nonprofits that are addressing critical needs that impact the quality of life for all North Carolinians: helping military families deal with illness and injury, engaging at-risk young people in sports and helping the elderly live independently. Our state ranks #3 in active and reserve military residents. Chances are pretty good that you or one of your neighbors has a family member based in North Carolina who’s serving our country. Fayetteville is home to Fort Bragg, the largest military installation in the world, with more than 50,000 active duty personnel stationed there. 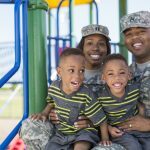 Our first ‘Month of Thanks’ honoree, The Fort Bragg Fisher House in Fayetteville, serves military and veterans’ families by providing a supportive place to stay while servicemen and women receive medical treatment nearby. As a former high school and college athlete, I’ve maintained my passion for sports through my adult life. I’ve stayed connected to golf by serving on the President’s Council for the 2014 U.S. Open Men’s and Women’s Golf Championships. I get my soccer fix by attending my twin boys’ games. During Month of Thanks, we’re honoring two organizations that help young people through sports. The Creative Player Sports Foundation in Charlotte removes socioeconomic and cultural barriers that prevent kids from taking part in sports due to high costs, using soccer as a motivational tool to encourage children to succeed in life. The First Tee of the Triangle reaches out to young people from at-risk areas by helping to translate the positive values of golf to everyday life. An important part of the American dream is the ability to live independently for as long as we’re able. And with a little help, many seniors in the Triad are realizing that dream. Winston-Salem’s Senior Services is committed to helping seniors continue living at home for as long as possible bhttp://www.seniorservicesinc.org/y offering in-home services and educational programs for caregivers. These four nonprofits are showing us every day why North Carolina is such a great place to live. Their work is crucial to our quality of life. They don’t do that work for money or glory. They do it because they are called to serve. For this, we owe them our thanks. And to help The Fort Bragg Fisher House, The Creative Player Sports Foundation, The First Tee of the Triangle and Senior Services, Inc., continue their service, Blue Cross NC is donating $5,500 to each organization. I urge you to check our blog each Monday in November for stories about these community partners.